Narendra Modi as PM candidate of BJP, What is stored next for him and BJP? As anticipated from many months, Finally BJP announced to world that Gujarat CM Narendra Modi will be its PM candidate for 2014 election. With this news, a wave of happiness has spread across his fans and supporters because they were waiting for this news from many months. Earlier, there were news in media that BJP might delay announcement of his name as BJP’s PM candidate for 2014 Loksabha election till the completion of assembly elections in Madhya Pradesh; however, today top BJP leadership with the support of RSS announced his name. Senior BJP leader L K Adwani didn’t give his support to Narendra Modi as he did same in past. But, most of other leaders of BJP are in clear mood to announce his name, and so they did. This is a great win for Narendra at home front to become a strongest leader in party. Today, there is no doubt in this fact that Narendra Modi is most popular leader of India and he is top choice for PM among common Indians. Large numbers of people see him as a development oriented leader and they hope to see improvement in their lives if he becomes next PM of India. Almost all opinion polls and surveys are in his favor; however, still he need to travel a long way to reach high post of India. 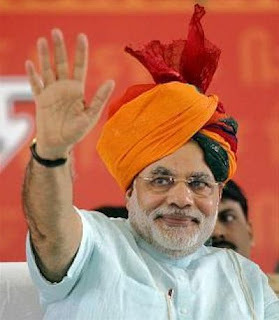 Narendra Modi has done a miracle in Gujarat by winning Gujarat Assembly elections three times in row. Now BJP and his supporter want to see same performance by him at center. 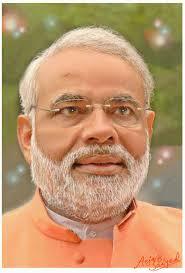 Narendra Modi is a strong leader with wide experience of politics. Before becoming CM of Gujarat, he worked in different states of India for the success of BJP in elections, and this experience will definitely help him in making a positive impression on central politics. At present, NDA is very weak and it needs strong allies to strengthen its reach. With present structure of NDA, it is very difficult for Narendra Modi to achieve this success. But we also know strong leadership qualities of Narendra Modi, and his ability to work hard. For BJP, Narendra Modi is definitely a good bet because otherwise, they don’t have any alternative. Without Narendra Modi, BJP can never think for replacing Congress. BJP may have many big leaders in it, but it doesn’t have any leader as popular as Modi. Therefore, BJP has not done anything wrong because they don’t have any other choice. With the announcement of Narendra Modi’s name as PM candidate, BJP is likely to improve its election tally. Overall, it is a good move by BJP, and it was demand of time. Now, it depends on many factors that what will be the outcome of 2014 Election? At the end, I will definitely want to say that whatever many be the results of 2014 Loksabha election, but it is certain that Narendra Modi is going to create an impact for BJP. Assembly elections in Madhya Pradesh will take place by the end of this year. Madhya Pradesh is one of biggest states of India, and therefore, everyone is interested in knowing the mood of people in MP. From last two assembly elections, BJP has emerged the winner in MP, and they hope to repeat this performance again. Present Chief Minister of BJP Shivraj Singh Chouhan is a popular leader, and the party hopes to win assembly election the third time in a row. However, everyone knows that it is not going to be as easy as it seems. Congress is the main rival party in Madhya Pradesh with some presence of SP and BSP. In 2003, BJP came to power with a landslide victory by winning 172 seats out of 230 seats. However, in 2008 assembly election, BJP retained power but it failed to hold same support, as it won 30 seats less than 2003 results. However, it was a commendable job for BJP and CM Shivraj to retain power. In next two-three months, 2013 assembly elections will take place in MP and again, the same question is present in front of us that whether BJP will retain power or Congress will win? These elections are very important for both these parties because a win in MP assembly election will increase chances of a win in 2014 Loksabha election. Now let’s separately discuss the scope of BJP and Congress in 2013 Madhya Pradesh Assembly election. Chances of BJP- Many opinion polls and surveys believe that BJP will again come to power in Madhya Pradesh. In Madhya Pradesh BJP, RSS and other Hindu organizations have a strong base at ground level; therefore, it will be much easier for them to convert this support into votes. The other strong point for BJP is the popular and clean image of CM Shivraj Singh Chouhan. He enjoys a great support of people in MP. With the projection of a popular leader with the clean image for CM, BJP has gone one step ahead of Congress. Chances of Congress- The main factor on which Congress can rely most is the anti-incumbency factor in MP. In past there are reports of scandals and corruption done by present BJP government; therefore, Congress will definitely like to highlight these issues to get the support of people. Further, there are many places in MP where people are still fighting for basic necessities like water, electricity and good roads. In such constituencies, Congress can hope to get an advantage of anger of people. The biggest disadvantage for Congress is no announcement of the single name for next CM of MP. 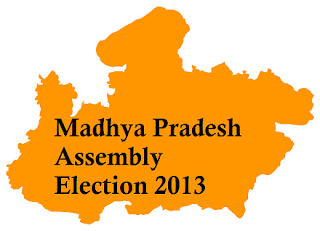 Final Verdict- If we go through all surveys, opinions polls, present trends, reports and inside inputs by locals then BJP clearly has an edge in Madhya Pradesh Assembly election 2013. So far, Congress look behind BJP in Madhya Pradesh; however, it is difficult to exactly predict a clear picture and final results may differ.